Most people have thirty two permanent teeth that develop in their mouths. Failure of any these teeth to fully develop is called congenitally missing teeth or, in scientific terms, hypodontia. Congenitally missing teeth is actually one of the most common dental developmental abnormalities, even more common than double teeth and having an extra tooth. In fact, about 20% of all adults are congenitally missing at least one tooth! What Are the Most Common Congenitally Missing Teeth? 1 – Wisdom Teeth – The teeth all the way in the back of your mouth. Wisdom teeth account for so many congenitally missing teeth that when you take them out of the equation, the percentage of adults with missing teeth drops from 20% to around 5%. 2 – Second Premolars – The teeth right in front of your molars. If you only have one instead of two, you could either have a congenitally missing tooth or it’s possible that one of your premolars was taken out when you had braces. 3 – Upper Lateral Incisors – These are the two teeth to the side of your two front teeth. 4 – Lower Central Incisors – These are the two front teeth in the lower jaw. I’ve seen several adults in their 40’s who still have their lower front baby teeth because the permanent ones were congenitally missing! Congenitally missing teeth are much more common in permanent teeth. Only about 0.5 to 0.9% of kids have a congenitally missing baby tooth. 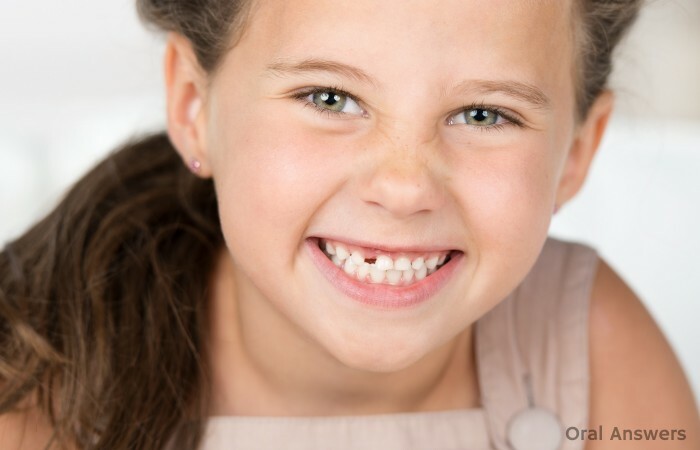 If a child has a congenitally missing baby tooth, it is likely that there isn’t a permanent tooth developing under the gums of the congenitally missing tooth. Forming a tooth is a complex process. There are a lot of genetic signals that must be processed for everything to go correctly. Most cases of hypodontia result from a lack of a little band of tissue, known as the dental lamina, underneath the gums to form. Since the tooth forms from this band of tissue, the tooth will not form if the dental lamina does not form. That band of tissue vhealthportal.com doesn’t form due to a variety of different genetic factors. Scientists have pinpointed three main genes that play a big role in tooth development (AXIN2, PAX9, and MSX1.) If there is a mutation on any one of these three genes, it could mean that a tooth will not form. Congenitally missing teeth are often associated with various syndromes, one of which is Down’s syndrome. Congenitally missing teeth can also be genetic. 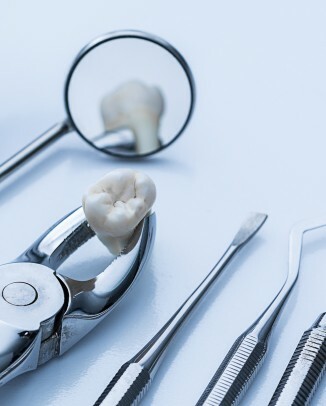 Some dental experts believe that we are currently in the intermediate stage of an evolutionary change in the number of teeth that humans have and that future members of the human race will only have somewhere around 20 teeth instead of 32. If you are congenitally missing your wisdom teeth, then no treatment is really necessary since most people have their wisdom teeth extracted. Learn why dentists often recommend getting your wisdom teeth removed. If you are missing your lateral incisors, your second premolars, or any other teeth, then there are a few treatment options. Getting an implant to replace your missing tooth is probably the treatment of choice. An implant has a root that integrates with your jaw bone and a crown to make it look like your natural tooth. The next best option would be to get a bridge. A bridge is like three crowns connected together. The two teeth adjacent to the missing tooth are cut for dental crowns. The bridge is then placed onto those two adjacent teeth. 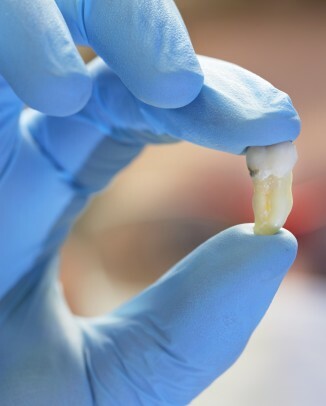 The bridge has a fake tooth that connects to two crowned teeth and fills in the empty space from the congenitally missing tooth. Another option for replacing a congenitally missing tooth would be to get a removable partial denture. This is an appliance that you can put in and take out of your mouth. It rests on your natural teeth and your gums and has teeth on it that replace the congenitally missing teeth. Congenitally missing teeth is not as rare as you may have guessed. The causes of this phenomenon vary and there are also multiple treatments available if you are missing one or more of your teeth. 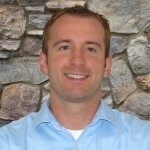 Do you have any questions about congenitally missing teeth? Did you have congenitally missing teeth? If so, did you do anything to fill in the empty space? I’d love to hear your questions, comments, and stories in the comments section below. Has your child ever come up to you and told you that they have an extra tooth growing out of their upper jaw behind their permanent teeth? It’s probably more likely that you’ve been told that your child has an extra tooth, or supernumerary tooth (we try to make up complicated words!) as dentists like to call it. If so, you’re not alone! It is estimated that supernumerary, or extra teeth occur in 2% of Caucasian children, with an even higher frequency in those of Asian descent. Below you can see an x-ray of a child with a supernumerary tooth. The original x-ray is on the left, and I outlined the supernumerary tooth in green in the x-ray on the right. This particular extra tooth is called a mesiodens. That means that it is right between the two upper middle front teeth. Only about 25% of these teeth actually erupt into the mouth. Most mesiodens teeth stay in the jawbone and never make it into the mouth. Currently, it is believed that supernumerary teeth occur due to the continued growth of the tissue that forms teeth, known as the dental lamina. Supernumerary teeth can be hereditary or they may be associated with one of two conditions: Gardner’s Syndrome and Cleidocranial Dysplasia. Supernumerary teeth can also occur in people that don’t have those two conditions and in those withouta family history of supernumerary teeth. How Common Are Extra (Supernumerary) Teeth? It is estimated that supernumerary teeth occur in 0.1-3.8% of Caucasians. They are even more common than that in people of Asian descent, although I couldn’t find any hard numbers. Supernumerary Teeth are twice as common in boys as they are in girls. Most supernumerary teeth form before the age of 20, although they are more commonly found with the permanent teeth rather than the baby teeth. What are Supernumerary Teeth Called? Extra teeth have a lot of names! They are classified based upon where they are located and what they look like. 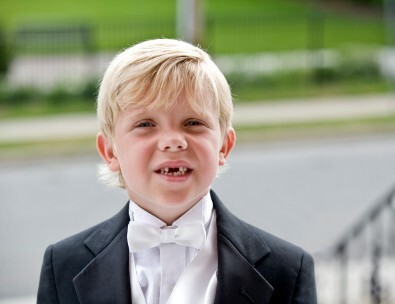 If an extra tooth is located in the middle of the two front teeth, it is called a mesiodens. If the extra tooth is located around the molar area, it is called a paramolar. If the extra tooth is located behind the wisdom teeth, it is known as a distodens. 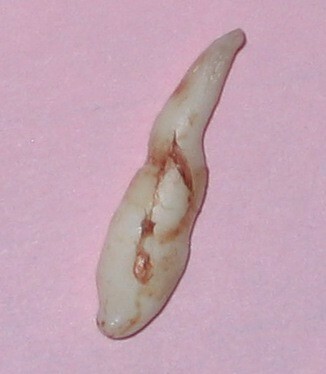 Conical Rudimentary Teeth look small or peg-shaped. Tuberculate Rudimentary Teeth appear to be barrel-shaped and have more than one cusp. Molariform Rudimentary Teeth look similar to premolar or molar teeth, but not enough to be called a supplemental tooth. What Does a Supernumerary Tooth Look Like? When I was out visiting my sister last summer, she told me that my nephew had to get an extra tooth removed. She told me I could even take a picture and put it up on Oral Answers. You can see my nephew’s supernumerary tooth to the right. It was a mesiodens, since it was growing right between his front two teeth. As you can see, the tooth doesn’t really resemble any particular tooth, it just looks like a cylindrical piece of enamel. 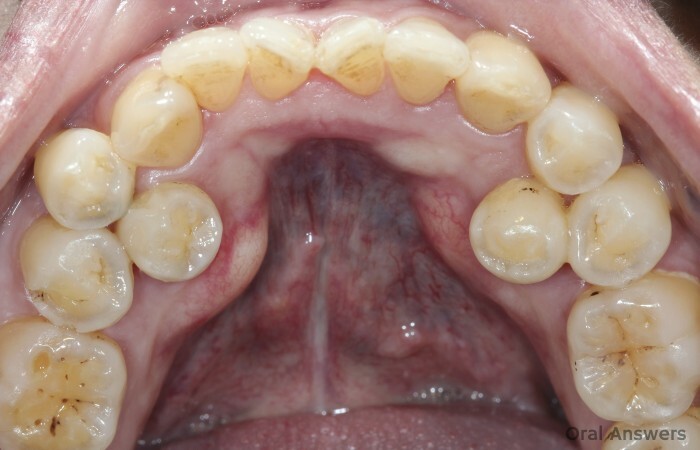 Where Do Supernumerary Teeth Occur? Almost all (around 95%) supernumerary teeth occur in the upper jaw. They mostly occur between the upper two front teeth. After that, you are most likely to find a supernumerary teeth behind the wisdom teeth. As you can see, supernumerary teeth can pretty much occur anywhere in your head, although they are most likely to occur in your jaws like the rest of your teeth. Do You Need to Have Supernumerary Teeth Removed? The significance of supernumerary teeth is that they occupy space. When they are impacted, they may block the eruption of other teeth, or they may cause delayed eruption or maleruption of adjacent teeth. If supernumerary teeth erupt, they may cause malalignment of the dentition and may be cosmetically objectionable. Because they can cause problems, it is generally a good idea to have supernumerary teeth removed. 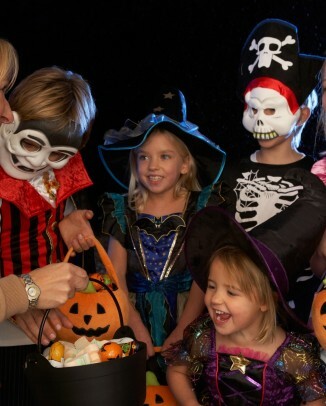 If you have extra teeth, don’t be alarmed! It is pretty common to have supernumerary teeth. You can work with your dentist to figure out what your options are for removing the tooth and aligning your smile correctly. Have you had a supernumerary tooth? Do you have any questions about supernumerary teeth? I’d love to hear what you have to say in the comments section below. Thanks for reading! Oral Cancer and Nutrition: Can Plant-Based Diets Prevent Cancer? 37,000 people are diagnosed with oral or pharyngeal cancer every year. That’s more than 100 people per day. Only an estimated half of those diagnosed with oral or pharyngeal cancer will be alive in five years. Guess how many of those 24 people could have saved their lives by eating better and exercising. 8. That’s nearly 3,000 people every year who could have lived longer had they only made a few simple dietary and lifestyle changes. Last week I was doing an externship at a rural dental clinic. During some down time, I picked up a copy of the February 2011 issue of the Journal of the American Dental Association. The article Diet and Prevention of Oral Cancer really caught my eye. My dad passed away from cancer when I was 17. I’ve always been worried that someday I would end up with cancer too, so the prevention of cancer is something that interests me. Evidence supports a recommendation of a diet rich in fresh fruits and vegetables as part of a whole-foods, plant-based diet, with limited consumption of meat, particularly processed meat. However, use of dietary supplements (including vitamins, minerals and other bioactive compounds) in the absence of deficiencies has not been shown to confer the same benefits as those of fruits and vegetables, and patients should not use them as a substitute for fruit and vegetable consumption. Consume a healthy diet, with an emphasis on plant sources. Choose foods and beverages in amounts that help achieve and maintain a healthy weight. Eat 5 or more servings of a variety of vegetables and fruits each day. Choose whole grains in preference to processed (refined) grains. Limit consumption of processed and red meats. 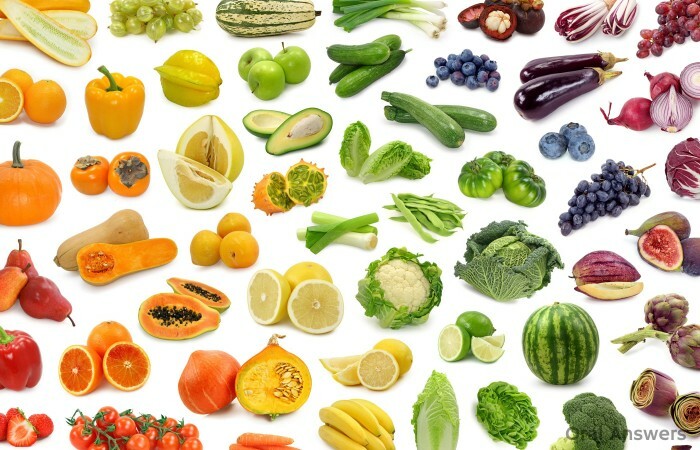 On the basis of the findings from the listed studies, there is enough evidence to point to a preventive role of vegetable intake, including green vegetables, cruciferous vegetables, and yellow vegetables, total fruit intake, and citrus fruit intake in oral, pharyngeal, and esophageal cancer development. Yellow fruits are likely to be protective. 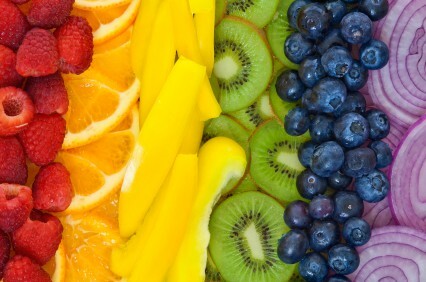 Carotene, vitamin C, and vitamin E are protective, most likely in combination with each other and other micronutrients. The role of vitamin A is not clear because of conflicting findings in the studies reviewed. These three sources all seem to agree that foods from plant sources have a preventive effect on the development of oral cancer. However, there are some foods that can increase your risk of developing oral cancer. What Foods Increase the Risk of Oral Cancer? Researchers have found that consumption of salted meat, processed meat and animal fat increases the risk of developing oral cancer. The results of a study conducted by Peters and colleagues showed that high consumption of dairy products is a risk factor for head and neck squamous cell cancers. In essence, foods that originate from plant sources help decrease your risk of oral cancer, and foods from animal sources increase your risk for developing oral cancer. If your diet looks similar to foods below, you’re probably doing a good job of lowering your risk for developing oral cancer. If oral cancer can be prevented so easily, isn’t it worth it to make some subtle changes to your diet? Do you have any questions, comments, or concerns about how your diet can affect your risk of developing oral cancer? I’d love to hear what you have to say in the comments section below. Thanks for reading! This past weekend, my wife told me that she was having the worst toothache of her life. When she came in for her checkup a few months ago, her teeth were in great shape. She told me that the pain was constant and that it got worse when she stood up. I told her that I thought it was a sinus infection. She went to the doctor and found out that she did have a sinus infection. Stories like my wife’s are fairly common — many people think that they have a problem with their teeth when they simply have sinusitis. Each time you take a breath through your nose, air travels through your sinuses on its way down to your lungs. Your sinuses are simply hollow, air-filled cavities in your upper jaw bone. They are lined with a pink membrane that is similar to the pink lining on the inside of your mouth. When the lining of your sinuses gets infected or inflamed, it is known as sinusitis. Many people end up coming to the emergency room at our dental school with painful teeth. Upon examination, we sometimes find that their teeth are healthy and that the real cause of their pain is a sinus infection or sinusitis. Below you’ll find a dental x-ray. I outlined the floor of the maxillary sinus (the sinus located above your upper teeth) so that you can see how close it comes to the roots of your upper molars. On the left side, it looks like the sinus floor goes below the roots of the upper molars. Usually this isn’t the case, and that illusion can be attributed to overlap as we are seeing a two dimensional image of a three dimensional object. However, it does give you a pretty good idea of why sinus infections can make it seem like you have a toothache in your upper molars and premolars. Want more details on how a tooth can cause a sinus infection? Then read this article: Can a Sinus Infection Be Caused by a Tooth? When a patient comes in with severe tooth pain, we normally take an x-ray of the offending tooth. Tooth pain is usually caused by reversible and irreversible pulpitis. We also do some tests on the tooth by feeling around it for an infection, tapping on it, and/or putting ice on it. This allows us to better understand if the pain is coming from one tooth or not. If the teeth don’t have any cavities in them and appear to be healthy, then we usually try to find another source of the pain, such as a sinus infection (sinusitis). Using a humidifier to moisten the air that you breathe in. This helps to loosen any dried secretions that have accumulated in the sinuses. Using nasal spray that contains phenylephrine or ephedrine. Taking antibiotics if it is believed that the sinusitis is caused by bacteria. 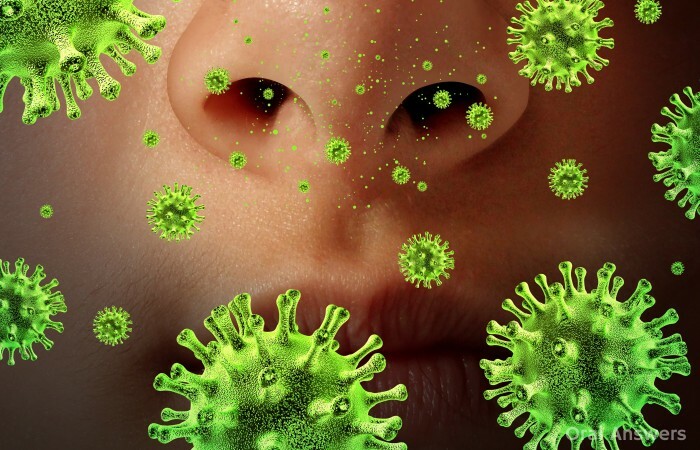 Common antibiotics that are prescribed for sinusitis include amoxicillin, trimethoprimsulfamethoxazole, clavulanate with amoxicillin, azithromycin, and cefuroxime. Although toothaches are generally caused by a problem with your tooth, it is important to understand that your teeth have neighbors, such as your sinuses, that can mimic a toothache. 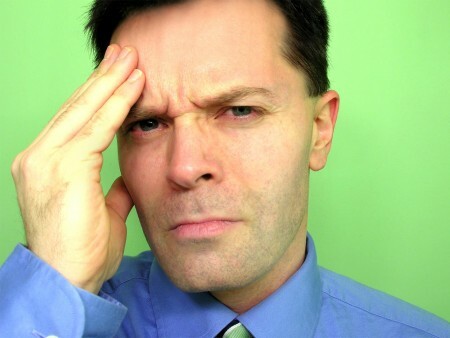 Do you have any questions about sinusitis or sinus infections? I’d love to hear what you have to say in the comments section below. I’ll do my best to respond to your questions, comments, and/or concerns. Thanks for reading! 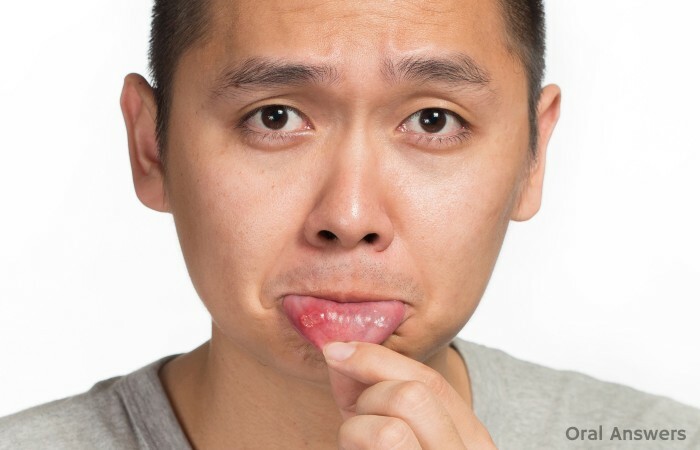 Ben, an Oral Answers reader, recently asked about what really causes canker sores (also known as aphthous ulcers.) He’s heard that sodium lauryl sulfate in toothpaste can cause canker sores, but not everyone who brushes their teeth gets canker sores. To be honest, there isn’t any one thing that can cause canker sores in everyone. However, different things can cause canker sores in different people. Here’s a list of 10 things that have been shown to cause canker sores in certain people. Basically, it says that the main factor that causes the body to destroy it’s own oral tissues appears to be an allergic response. It’s important to remember that many of the foods listed above do not usually cause canker sores, but they have been found to be trigger foods in certain people. If you think that a certain food is causing your canker sores, you can try to pinpoint which food it is by using the above list and trying an elimination diet. You will want to talk to your doctor about your concerns to get additional information before attempting to eliminate certain foods altogether. Stress is a major cause of canker sores. It is presumed that since stress weakens the body’s immune system that it makes it more susceptible to canker sores. 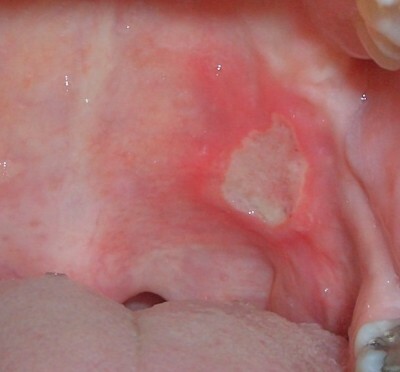 Trauma has also been associated with canker sores. Anytime the barrier over the deeper tissues inside your mouth is broken, there is a higher risk for canker sores in certain people. The trauma can be caused by a variety of things, such as sharp foods like chips and crackers, biting, braces or hard=bristled toothbrushes. Your family history can play a big role in whether or not you get canker sores. In fact, if both of your parents get canker sores, there’s a 90% chance that you will get them too! Some people who have problems with their immune system have many canker sores. For example, people with AIDS (Acquired Immunodeficiency Syndrome) frequently get aphthous ulcers. When you smoke, the tissue lining the inside of your mouth gets slightly thicker. Quitting smoking thins the lining inside of your mouth and makes you more susceptible to canker sores. This doesn’t mean that you should smoke to avoid canker sores! Smoking has many more serious negative effects on your oral health. For example, smoking has been linked to oral cancer and smokers in general have less teeth than non-smokers. So it is still a great idea to quit smoking if you currently do! The luteal phase of your menstrual cycle begins right after you ovulate (approximately day 14) and ends on the day you get your next period. When the tissue inside your mouth gets thicker (i.e. – more keratin forms) then you see a decrease in the amount of canker sores. There are a variety of things that can cause canker sores. However, you may notice that nothing I mentioned above applies to you and you still have canker sores. This is because we still don’t know everything that causes canker sores. Researchers are still working to understand the exact reasons why some people get them and some people don’t. Do you get canker sores? Have you noticed that they are caused something that I didn’t mention above? I’d love to hear your comments and questions in the comments section below. Thanks for reading! Dry mouth, or xerostomia to medical professionals, occurs in 25% of older adults and has even been reported to occur in 10% of adults in their 30’s. Dry mouth is a condition that can have a negative impact on your oral health. It also impacts your ability to eat food and speak, and has been said to cause bad breath. Basically, if you have dry mouth you are missing out on many of the benefits that your spit provides to your mouth. 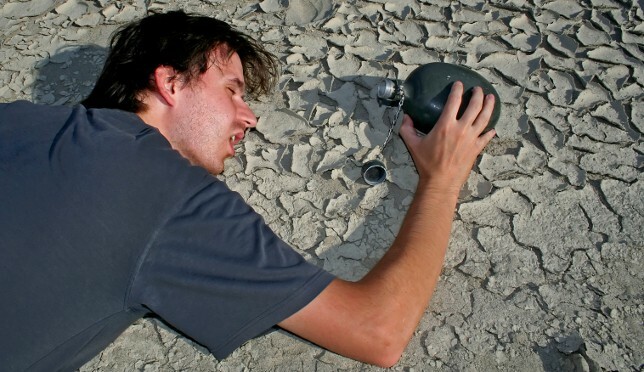 I’ll talk about all of the effects of dry mouth in a future article. What I want to talk about right now is what causes dry mouth. Dry mouth is caused by a variety of different factors. I’ve listed six main causes of dry mouth, which you can find below. 1 – Medications – This is one of the most common causes of dry mouth. 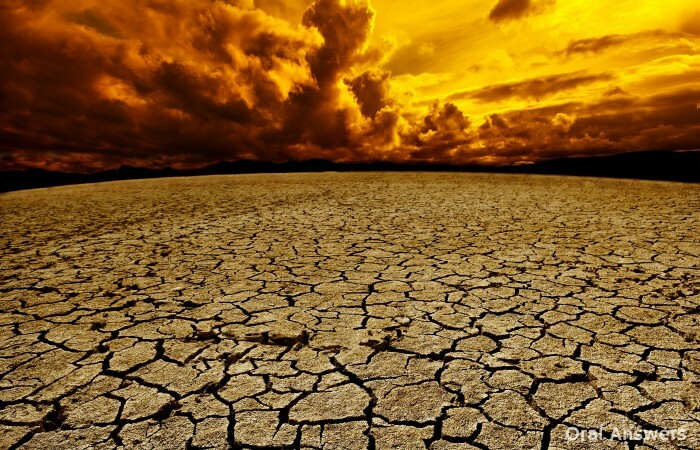 There are literally hundreds of medications that cause dry mouth. Some of the more common ones are anti-depressants, sedatives, beta-blockers, high blood pressure medication, antihistamines, and cold/flu medications. Other drugs, such as tobacco and alcohol, can directly dry out the mouth. Learn more about 348 medications that cause dry mouth. 2 – Anxiety, Depression, or Stress – These conditions have been shown to cause dry mouth. The best way to treat it is to find effective ways to manage your anxiety, depression, or stress. Xerostomia, a subjective feeling of dryness of the oral mucosa, has been reported as a complaint in one third of diabetic patients. Unfortunately, studies that attempt to confirm an actual decrease in salivary flow rate in diabetic patients have produced conflicting results. Some studies show a decrease in salivary flow; some, no difference from normal; and some, an increased salivary flow rate. 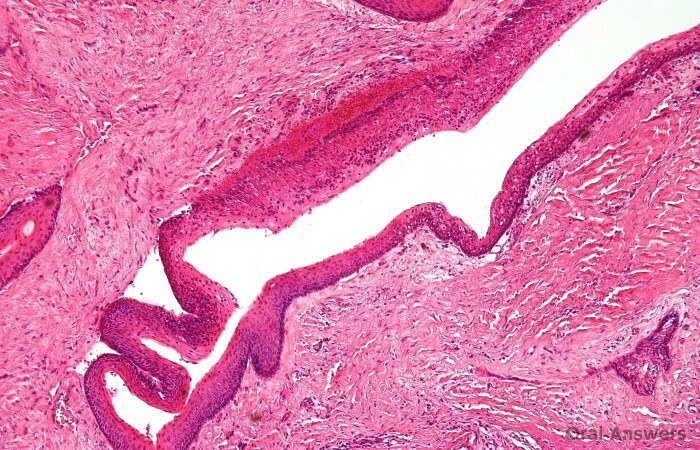 4 – Autoimmune Diseases such as Sjögren’s syndrome, HIV, and Graft-versus-Host disease. Sjögren’s syndrome causes dry mouth and dry eyes. In other immunologic diseases, it is suspected that the body’s immune system is attacking the salivary glands, thus decreasing the amount of saliva that is produced. 5 – Radiation treatment to the head and/or neck area – Radiation treatment to the head and neck area can cause damage to the salivary glands. Some of the glands can recover and produce saliva normally after radiation treatment. The biggest salivary gland, however, usually has trouble recovering and can be permanently damaged, leading to chronic dry mouth. 6 – Hormone changes – Hormonal changes occur with pregnancy and menopause in females. These hormonal changes have been associated with dry mouth. If you are pregnant and experiencing dry mouth, your dry mouth should resolve once your baby is born. If you have dry mouth associated with menopause, you may want to see your dentist to see what kind of treatment is available. As you can see, there are numerous causes for dry mouth. Do you have dry mouth? Please leave any comments or questions in the comments section below. When I was a little boy, I remember seeing my brother in the bathroom trying to bleach his teeth. 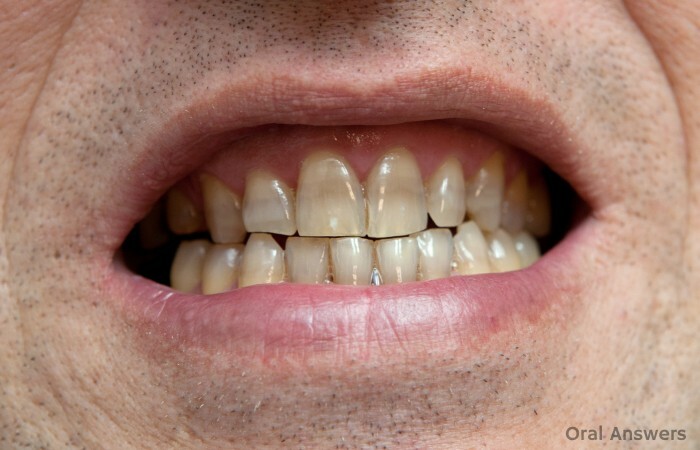 He tried many different formulations of bleaching agents to try to remove the staining on his teeth. I asked him about it recently, and he told me he wasn’t sure how it happened. We suspected that my mom unknowingly took some sort of antibiotic that stained his teeth when she was pregnant with him or that he had taken something as a kid. He couldn’t remember. Then, I called my mom. She said that she didn’t take anything during her pregnancy and the discoloration came from a drug that was prescribed to him at a young age. Whatever the reason, nobody likes to have discolored teeth. To the right is a close-up view of the same patient in the photo above. As you can see, the tetracycline has changed the color of his teeth. Tetracycline can stain the teeth anywhere from a bright yellow shade to dark brown. Usually the staining starts out as a yellow color. Over time, as the tooth is exposed to light, a chemical reaction occurs and the yellow turns to a dark brown color. For this reason, many people with tetracycline tooth staining have brown teeth in front (the teeth that are exposed to the most light) and yellow teeth in the back (where not as much light reaches.) Under ultraviolet light, tetracycline staining can appear bright yellow. However, it’s not just tetracycline that stains the teeth – there are many other drugs as well. Many of tetracycline’s homologues (similar drugs) are all associated with discoloration. 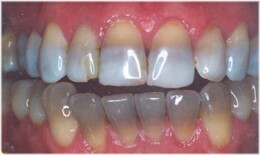 Chlortetracycline, demethylchlortetracycline and oxytetracycline can all cause brown/gray/yellow staining of the teeth. Ciprofloxacin is an antibiotic that can be given intravenously to infants for treatment of a Klebsiella infection. It can stain the teeth a green color, but the staining is usually more mild than tetracycline staining. Minocycline hydrochloride is an antibiotic used to treat acne and rheumatoid arthritis. It is believed that minocycline binds to the tooth and then oxidizes it, producing a discoloration. Minocycline is able to stain teeth even after they are fully developed, unlike the tetracycline family of antibiotics and ciprofloxacin. Tetracycline can cross the placental barrier and incorporate into the developing tooth. It should be avoided (if possible) by mothers who are pregnant and also in kids until they are at least seven or eight years of age. Because tetracycline can cross the placenta, it may stain primary teeth if taken during pregnancy. If it is administered between birth and age 6 or 7 years, permanent teeth may be affected. Only a small minority of children given tetracycline for various bacterial diseases, however, exhibit clinical evidence of discoloration. Staining is directly proportional to the age at which the drug is administered and the dose and duration of drug usage. Since there are many other antibiotics available that are as effective as tetracycline without the discolored teeth as a side-effect, tetracycline is usually not prescribed to children except in rare circumstances. Your doctor will be able to explain the reasoning if your child is ever prescribed tetracycline. It is very difficult to treat internal staining of teeth because it affects the dentin layer underneath the enamel. For an overview of the layers of the teeth, check out this article on the anatomy of a tooth. There are a variety of ways to treat tetracycline stained teeth depending on the severity of the staining. The most conservative is bleaching the tooth. If the tooth has undergone root canal treatment, it may be more effective to use an internal bleaching technique where the dentist puts a bleach inside the tooth to bleach it from the inside out. Internal bleaching is not possible with teeth that have not undergone root canal treatment because there is still living pulp inside the tooth where the bleach would be put. If bleaching doesn’t work, there are more invasive treatments. The dentist can shave off the outer layer of the tooth and put an aesthetically-pleasing tooth-colored filling on the front-facing surface of the tooth. Another treatment option is putting veneers (a thin layer of tooth-colored porcelain) over the teeth. The most drastic treatment would be to cut around the whole tooth and put an aesthetic crown over the tooth. This may end up being the most aesthetic option for severe tetracycline-stained teeth, but it is also the most expensive. I believe my dental school would charge somewhere around $500 for this procedure, which means it is probably near $1,000 if you get it done in private practice. I hope this article helped you to better understand why antibiotics stain the teeth and what you can do to prevent it. Are your teeth stained due to a medication such as tetracycline? Have you done anything about it? Don’t hesitate to share your experience in the comments so others who have the same problem can see what worked for you. If you have any questions or comments, go ahead and leave those in the comments section below as well. Thanks for reading! I want to thank Dr. James R. Donley, DDS for kindly allowing me to use his photos (the bottom two photos) in this article.